We face countless problems when it comes to taking care of the planet: pollution, poor resource management, deforestation, the emission of greenhouse gases, among many others. One of them is the amount of waste we produce that ends up making the situation worse. However, there is a possible solution: the circular economy. This is a waste reutilization system, in which different materials are recycled and reused. Unlike the linear economy, which is characterized by short-term consumption, the circular economy proposes to give various uses to materials that do not decompose quickly such as plastic. In this way, the negative impact on the environment is reduced and a material that is affecting life on the planet is reused. Additionally, according to Sustainability for all, this system is committed to the use of biodegradable materials that do not affect the environment and that can decompose quickly. For example, in Colombia, containers made with seeds are sold. Once used, new vegetation is planted and born depending on the type of seeds that have been used. In addition to caring for the environment, the circular economy is friendly to businesses and governments. According to the UN, if the raw material is reused, production costs are reduced and costs would be reduced by approximately 90%. As for governments, the United Nations says that this model would leave them less waste to deal with. On the other hand, it would contribute to the generation of green jobs dedicated to treating these reusable materials. Two problems would be attacked with the same solution. However, this model has a weak point. 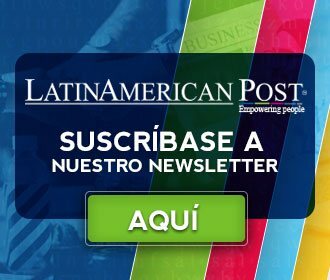 According to Pedro Bernal, LatinAmerican Post's economics editor, although this model is necessary to make the economy sustainable, it does not contemplate the elimination of waste. Waste is not part of the circular economy, as only the reuse of recyclable materials is considered. In this sense, according to Bernal, the circular economy is not an ideal solution to completely solve the environmental crisis. At this moment there are residues that cannot be recycled and that continue to contaminate, an example of this are greenhouse gases. Given this, we should look for ways to take advantage of non-recyclable resources. The circular economy partially solves the crisis by reusing recyclable materials. However, it does not contemplate the full use of the waste produced. The advantages offered by the circular economy are multiple, so we must arrive at a model that is entirely sustainable and that gathers a broader spectrum on the treatment of waste. The UN for its part ensures that this model is a golden opportunity for the business sector and explains that "the ‘remanufacturing’ represents only 2% of production in the United States and 1.9% in Europe, reflecting the great opportunities that there is to develop these markets".